Punjab has umpteen business opportunities in Real Estate sector and also witnessed an upward trend of development in the Real Estate. The inclination in this sector obviously has given so much development to the Punjab state but there is also a substantial rise in the percentage of perturbed home-buyers. All the prerogative related to real estate matters has now been vested with the State RERA so now the consumer courts and consumer forums are not in the picture anymore, one has to file all the complaints relating to real estate as prescribed under RERA Regulations before RERA authorities of the State. Filing of RERA complaints is a matter of expertise and it needs profound understanding of the laws along with the facts and circumstances of the case. Without any professional advice one might lose all his standing in the case and it may also lead to the loss of time and money. RERA complaint in Punjab can be filed before following authorities depending upon the kind of grievance. (i) Complaint to RERA Adjudicating Officer – Any complaint relating to claim of interest and compensation, which is covered by section 12, 14, 18 and 19, of RERA Act, 2016, can be filed in form ‘N’ before Punjab RERA Adjudicating officer. The complaint shall be filed with the fees of Rs. 1000/-. Can be filed before RERA Authority in form ‘M’ in physical. After paying the prescribed fees of Rs. 1000/-. 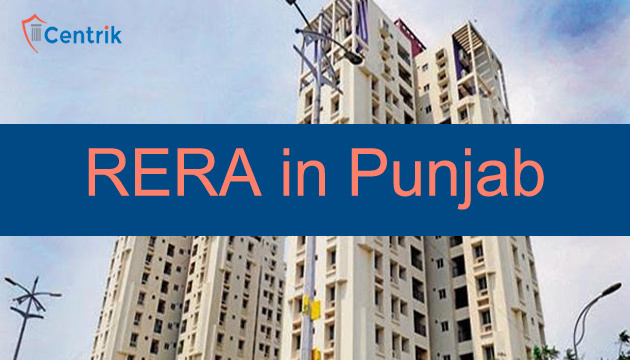 (iii) Complaint to Punjab RERA Tribunal – RERA tribunal is second appellate authority. at time of possession builder demand unnecessary amount in the form of interest. And now builder sell there company to other builder. I booked a plot with Royle City Chandigarh, Zirakpur (Near Banur) and deposited amount one lac. later i realized it not suitable for me so i declined and informed them. Now they are not responding and not returning money. Even they said they will deduct 25 thousand. Could you please suggest me what i have to do. I have booked a flat paid one lac as deposit at SBP kharar on 21 October 2018. I have been asking them for an agreement. However, they have not executed an builder-buyer agreement until now and they are now refusing to sell the agreed flat. Reason for not selling the flat they say is that the prices have been revised and they can’t offer me the agreed flat at the agreed price they want an additional of 2-3 lacs of the agreed price. They are offering me some other flat which is 3-4 lacs more expensive. This seems to be a common practise among builders to trick the buyers in buying property to sellers at their terms and price. Please advice how to deal with such builders having malafide intentions to trap sellers. Please advise. Can you please guide that as the builder is not providing me service and booked thd plot before rera approval and now changing the no of plot as per his choice. I have paid 25% amount then how to refund amount and on what basis I claim interest.